What is the Bowen Method? 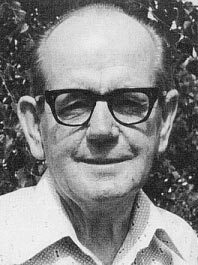 The Bowen Method is based on the work of Thomas Ambrose Bowen. It is a unique and effective system of body balancing that can give lasting relief to conditions from back and leg pain, to carpal tunnel syndrome and headaches. We believe that a large part of Bowen Therapy is based on the concept of evolution. Tom Bowen was constantly learning, studying and evolving his technique. In fact, there are several versions of the technique being taught by the people who learned from Mr. Bowen himself. This is said to be due to the particular time each student was with Mr. Bowen during the evolution of his work. Therefore, we believe that constantly learning and evolving the Bowen Method is more in keeping with the spirit of Bowen than adhering to a specific set of moves. Finding new and more effective ways to release the tissue to help our clients get relief is the goal. The measuring stick always being effectiveness. This is where the challenge exists in teaching the Bowen Method. Most people are programmed to learn by memorizing certain facts. This will get you only so far in Bowen. Understanding the concepts of the Bowen Method is where the true work exists. If a muscle is tight it must be moved to remove any fascial adhesions and release the tension from the muscle fibers to restore blood flow. Anatomy and kinesiology are essential in the Bowen Method. If a therapist wishes to be successful in giving relief to his or her clients, the therapist must know how to figure out the problem. The therapist must know how to interpret the postural signs, symptoms and complaints of the client as well as implement the appropriate procedures in order to put together an effective session. The first thing to accomplish during a Bowen Method session is to restore balance to the body. We consider the pelvis to be the focus of this task. If the pelvis is tilted one way or the other, it will throw off the rest of the body. Many of the client’s complaints can be resolved by accomplishing this one thing. If the pelvis is tilted it will make the leg length uneven placing pressure on the ankles, knees and hips. It will also place the lumbar spine and surrounding muscles in tension and make the muscles of the neck and shoulders tight in the body’s effort to balance itself. After the balance is restored, the client complaint will be addressed. We find this way of addressing the body the most effective. Again, the measuring stick we use is the effectiveness we have with our clients. The Bowen Method is a medically oriented modality that consists of a series of non-invasive moves performed at specific locations on the muscles of the body. These cross fiber moves allow the fascia of the muscle as well as the muscle fibers to relax, allowing the previously restricted blood flow to return to the tissue. The muscle itself returns to its normal state of tension and pressure is released from the body’s structure. This allows the return of normal structural alignment and releases pressure from nerves. This method of body work is based on a technique developed by Thomas Ambrose Bowen, an Australian Osteopath. Mr. Bowen realized that when the structure of the body became misaligned, it is the muscles of the body pulling the structure out of alignment. He understood that it is the muscle that moves the bones, not the opposite. By releasing the tension in the muscles, the structure will often return to its normal position by itself with just a simple movement such as raising the legs while lying face up. The Bowen Method is a unique and effective system of body balancing that can give lasting relief to conditions from back and leg pain to carpal tunnel syndrome and headaches. The results of Thomas Bowen’s work speak for themselves. There has been much written on the subject of Tom Bowen by various people. According to Mr. Bowen’s daughters, many of those accounts are inaccurate and probably tailored to meet the needs of the writer. The information provided here is from two letters. One was written by Pam Trigg and Heather Edmonds, Tom’s daughters and the other from Dr. Kevin Ryan, a former student of Mr. Bowen. Tom Bowen, an Australian Osteopath, was a gentle, generous, compassionate man who gave freely of his talent, time and money. He would help anyone who was in need and often treated his patients for free if he felt they were in financial difficulties. He seemed to have a “knack” for seeing imbalances in the body and knowing how to correct the problem. Mr. Bowen constantly studied a variety of medical and osteopathic texts. He was always seeking better and more effective ways to relieve his patients of their ailments. He treated children with disabilities free and spent an enormous amount of time with them and their parents. He spent every Saturday night treating players from various football teams for as many hours as it took to help them recover from their injuries. Tom Bowen also ran a free clinic one Saturday morning a month where he would treat up to twenty disabled children and adults. He felt working with the disabled was his most rewarding work and requested Dr. Ryan maintain his clinic after his death. Dr. Ryan reportedly kept the free clinic open for twelve years following Mr. Bowen’s death. Tom Bowen taught his students in “apprentice” style and only taught six people. Four of the six were chiropractors. Dr. Ryan was his last student before his death. According to Dr. Ryan and Tom’s daughters there were no others that learned directly from Mr. Bowen. The Bowen Method is a unique and effective system of body balancing that can give lasting relief to conditions from back and leg pain to carpal tunnel syndrome and headaches. The results of Tom Bowen’s work speak clearly to its effectiveness. Tom Bowen was constantly learning, studying and evolving his technique. So, we are of the opinion that trying to constantly learn new and better procedures to relieve our clients from pain is also a large part of Bowen Therapy. Therefore, we consider this practice of continuous learning a large part of the therapy. This is how Mr. Bowen practiced his trade and if we are attempting to do what he did, we must practice the way he did. For those of us with a passion for healing, it is definitely a labor of love. The satisfaction of helping our clients return to their life by skillfully and successfully assessing a client’s problem and applying this wonderful technique, always encourages us to learn and understand more. Our therapists continuously receive ongoing education and are required to keep up on the study of the human body. We keep a large variety of anatomy, kinesiology, disease and drug texts handy for all to use when the need arises. In addition to receiving continuing education, all of our therapists are California State Certified and have passed all our basic and advanced training courses. All of our therapists are members in good standing of the Associated Bodywork and Massage Professionals (A.B.M.P.). The Bowen Method Center is one of the most successful clinics in Northern California and we believe this continuing education process is the key to our success! Our students that follow this format are successful as well.